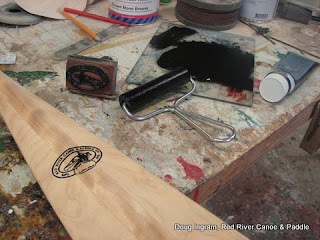 I have a custom rubber stamp made up with my logo. 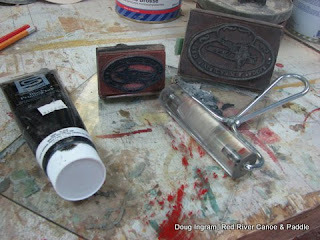 Water based block print ink applied to the stamp with a roller is what I use. Posted by Doug Ingram at 10:01 p.m.